Riesling: The World’s Greatest White Winegrape? Is Riesling a German word? Any idea what the root of the word is, or its meaning? Its name is a bit of a puzzle. It’s possibly related to the German word reissen, “to tear, to carve, to cut,” but attempts to explain this connection are pretty lame. Where does the Riesling grape originally come from? It’s origin is no doubt to be found in Germany, specifically the Rheingau. There is a reference to “riesslingen” vines in a document from 1435, written by a cellarmaster with the amusing name of Klaus Kleinfisch (“Littlefish”) to his boss, the Count of Katzenelnbogen (“Cat’s Elbow”). The whole story sounds to me like a Mel Brooks comedy sketch. Really old, probably going back to Roman outposts along the Rhine. How did you get into Riesling? Well, both my wife Fredericka and I have connections to Germany, and Riesling is the German grape par excellence. I first visited Germany when I was 17, so my first wine experience was with Riesling. Fredericka’s mother is German (from the Rheinland), so she no doubt has a bit of Riesling running through her veins. How does Alsatian-style Riesling differ from German Riesling? 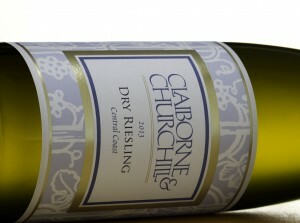 Where does C&C Riesling come from? 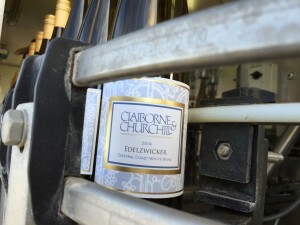 At Claiborne & Churchill we source our Riesling grapes from two regions: (1) our own Edna Valley, including our Estate Vineyard, and (2) Monterey County, specifically the Arroyo Seco area, where cold weather produces intensely aromatic grapes. What are some typical aromas and flavors associated with wine made from Riesling? What are the challenges to making it? Riesling is a bit of a challenge to grow, because it is a late ripener and fairly susceptive to rot (including the precious “noble rot”). The grapes need to be pressed slowly and long, to get the best juice. Fermentation should be cold. 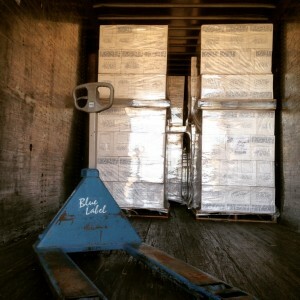 How long between pick, bottling, and release? 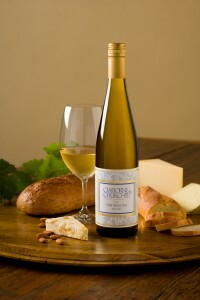 Riesling can be bottled relatively soon after it is made, but it needs a bit of aging before release. It is unfortunately true that most Rieslings are released too early (including ours) because people prize the youthful fruitiness more than the more profound flavors that the patina of age gives. Oh well, each to his own! How do you most enjoy Riesling? Riesling is famous for being the most versatile of wines and the most food-friendly. We enjoy it by itself as an aperitif wine (especially if it has a tiny touch of residual sugar), but it really stands out on the dinner table. I love it with poultry (Chicken in Riesling is a standard Alsatian dish), and fish, particularly shellfish. I think Dungeness Crab and Dry Riesling is a match made in heaven. Outside California, Germany and Alsace, good Rieslings can be found in Oregon and Washington, in the Finger Lakes region of New York , and in Australia. Each Riesling bears the hallmarks of its place of origin. 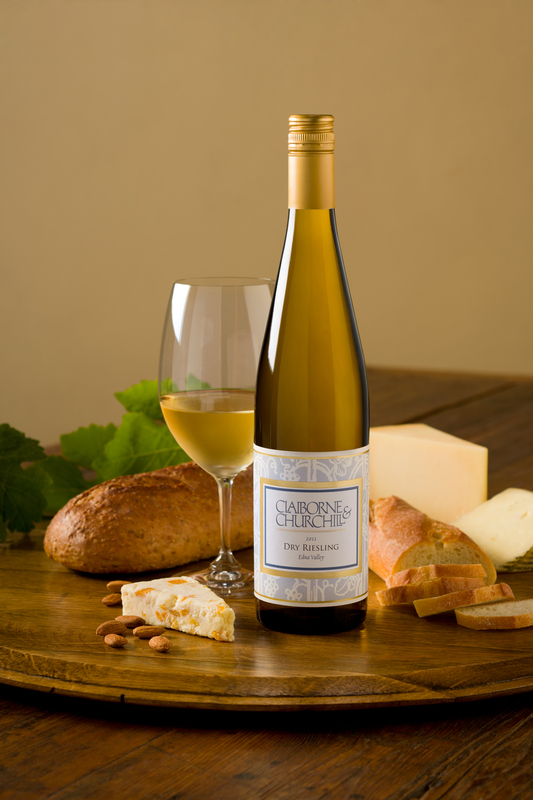 We will be releasing our 2014 Dry Riesling on May 1st 2015. Making good wine is hard and exciting work, but getting these good wines safely into the bottle is something altogether different: hard and stressful work, you might say. Here at Claiborne & Churchill we can certainly attest to this; we’ve already bottled most of our white wines, having held three major bottling sessions in the first three months of this year! The 2014 Dry Gewurztraminer, our most popular white wine, was bottled in January and has already been released to a thirsty wine club. February saw the Pinot Gris, the Dry Muscat, and the ever-popular Dry Rose ushered into bottles, and in March the Pinot Blanc, the Edelzwicker and the Dry Riesling (another signature wine) were bottled. We now have a good handle on what the 2014 vintage has brought us, and we are very happy with how these wines have turned out. They taste fresh and vibrant, with beautiful aromatics, lush flavors, and great acidity. Sometimes a vintage brings quality to one varietal but not another, but the 2014s are all showing well in their youth, across the board! Why was the 2014 such a good vintage? Ironically, California’s drought had a lot to do with it. If the dry and warm summer brought us one good thing (besides perfect beach weather), it was quality in the vineyard. Vineyards tend to thrive under a little stress, in this case limited water. A dry springtime and ideal weather during bloom and berry set helped create solid wines and above average yields. Moreover, during the peak of the growing season we did not see any nasty heat spikes. 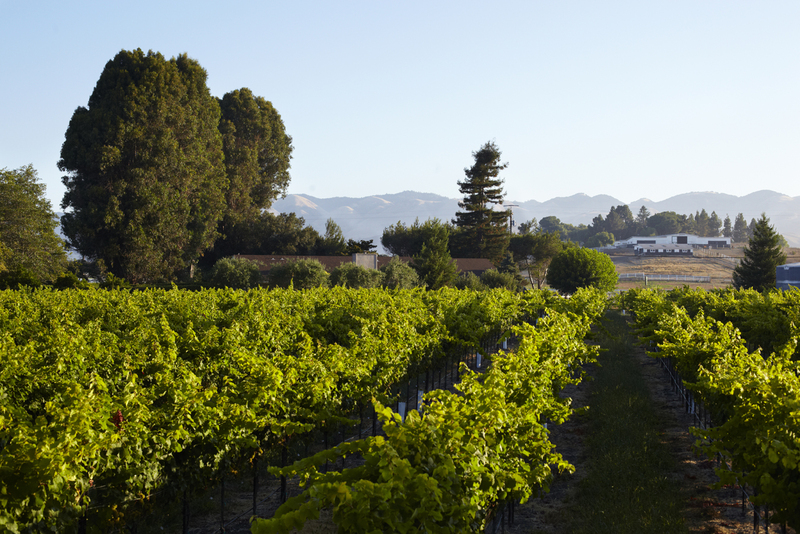 June was a warm month, but July, August and September brought us pleasant coastal weather, ideal for our cool-climate varietals.